Mr. Ebanks served as a public servant for thirty-seven years before retiring in 2012. From 1975-1994, he worked in the Public Works Department, the last eleven years as Chief Engineer. In 1994 he was appointed Deputy Chief Secretary and was awarded the designation of Member of the Most Excellent Order of the British Empire (MBE) by Her Majesty The Queen. 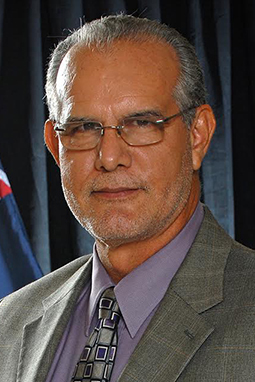 In 2009 he was appointed Chief Secretary and shortly thereafter became the first Deputy Governor of the Cayman Islands. Mr. Ebanks is former Chairman of the National Hurricane Committee and the National Hazard Management Council. He currently serves as Chairman of Civil Service Appeals Commission and the Records Management Advisory Committee. He is a Justice of the Peace. Mr. Ebanks has served as Chairman since 1 March 2013. His tenure expires on 31 January 2019.